The Lumidigm V4xx Fingerprint Sensors and Modules combine convenient and reliable biometric authentication with variety of security features including strong liveness detection, data encryption and tamper resistance to provide an exceptional user experience while eliminating fraud and protecting identities. Ideal for banking applications, the V4xx offers individual bank customers easy and worry-free access to their accounts. And, because institutions need to know who is actually present for the transaction rather than simply who has the card or knows account details, the V4xx provides a cryptographically secure channel that is protected by tamper detection for true end-to-end security. Eliminates fraud — Knowing who is transacting is critical. Biometric authentication binds a credential to an individual, ensuring that the person transacting is who they claim to be. Establishes trust — Data communications between the V4xx and the institution's systems are secure, ensuring the integrity of the transaction. 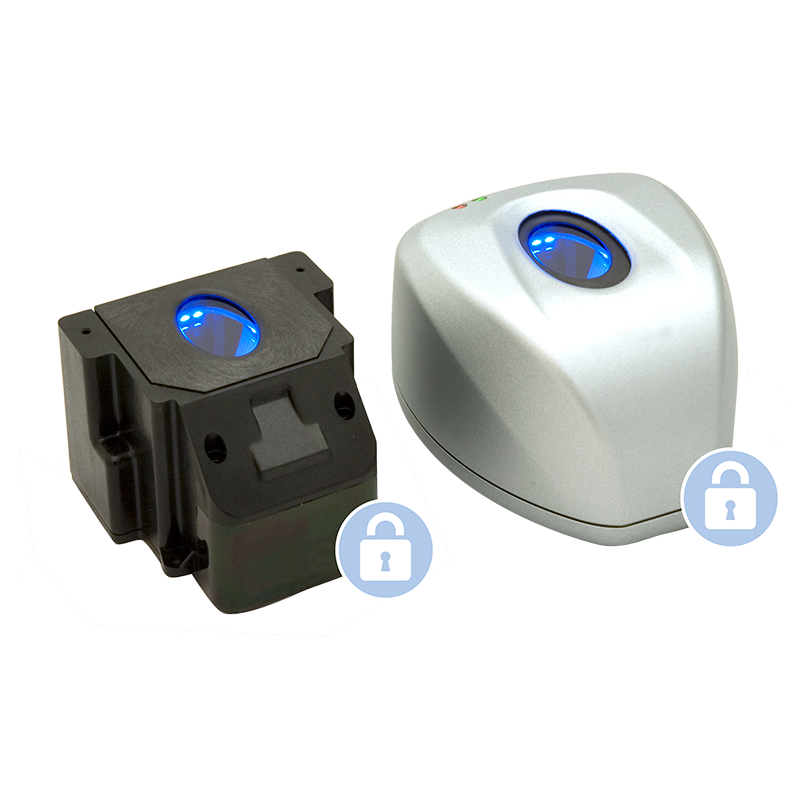 Simplifies access — Quick and easy to use, the V4xx allows individuals to access their accounts with a single touch of a finger. The V4xx supports multiple deployment scenarios to meet each customer's specific system requirements. 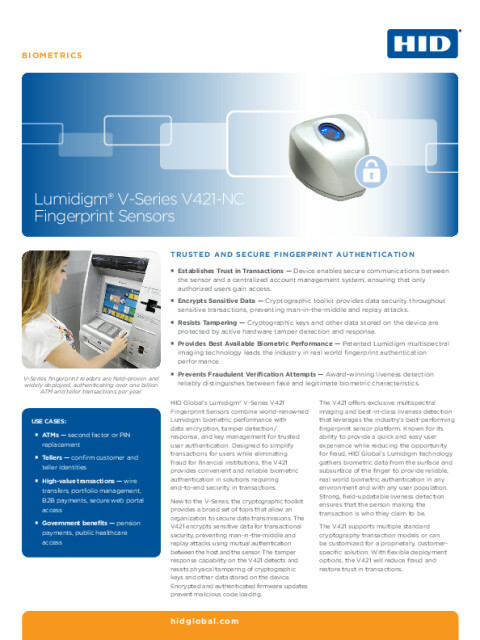 Simplify financial transactions for users while eliminating fraud for financial institutions with the Lumidigm V4xx Fingerprint Sensors and Modules. The customizable V4xx may be deployed unlocked in anticipation of future enablement of cryptographic features; off-the-shelf with one of five provided cryptography transaction models; or as a fully customized solution with a proprietary, customer-specific cryptography transaction model. For maximum flexibility, the unlocked V4xx is backwards compatible to SDK v2.50 and can be deployed alongside previously deployed Lumidigm V3xx sensors. How does the bank know who is transacting?